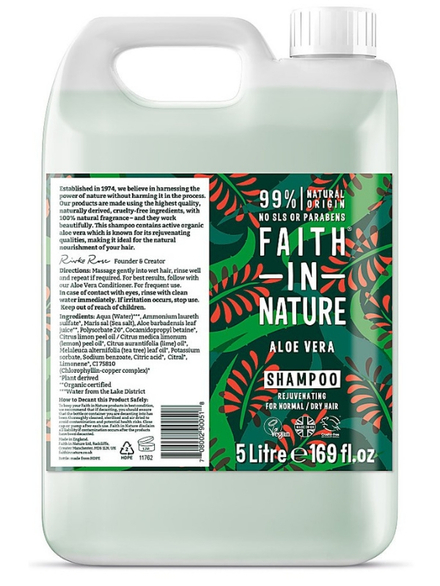 Aloe Vera Shampoo 5Ltr (Faith in Nature) - HealthySupplies.co.uk. Buy Online. Made from organic Aloe Vera. Suitable for normal to dry hair types. Massage gently into wet hair, rinse well and repeat if required. For best results, follow with Aloe Vera Conditioner (Faith in Nature). For best results follow with this cleansing and moisturising conditioner! Complete the uplifting experience with added Ylang Ylang!